This is the story of a girl and her iPhone. No, that’s not quite right. This is the story of a middle-aged statistician and her best friend. Though she didn’t consider herself middle-aged. And the best friend was more of a roommate-with-whom-she’d-developed-a-friendship. And this description completely ignores the 6,000-year-old elf with whom the woman and her best friend enjoyed story gaming. So let’s try this again. This is the story of a woman who wished to find love, but who would rather play story games than actively look for it. Especially in the wake of a horrid break-up six months before from a man who had never sent her a single gift. Until this Valentine’s Day, when she received a brand new iPhone in a box with his name on it. Between story gaming and succumbing to the phone’s insidious sleekness, she learns that friendship trumps romance. In Cracked! A Magic iPhone Story, award-winning author Janine A. Southard (a Seattle denizen) shows you how the geeks of Seattle live, provides a running and often-hilarious social commentary on today’s world, and reminds you that, so long as you have friends, you are never alone. Cracked! A Magic iPhone Story is available at Amazon. Morena’s new iPhone double-buzzed on the bathroom counter, perilously close to the washbasin. “I didn’t know you’d decided to use this one exclusively,” Suzyn said, hoping Morena would donate the older Samsung to her. Unfortunately for Suzyn, that would never happen. Not only did Morena prefer her familiar old phone for work purposes, but she hadn’t actually noticed she’d transitioned to the new iPhone. The iPhone was just so handy. Somehow, it was always there, as though it were tethered to Morena’s subconscious. Why, it was almost like it had followed her to the bathroom. There might have been an end to that sentence, but she was distracted by the hunt for the all-important eyeliner. …and by the bright green heart that filled the screen. That was not the regular dashboard, nor was it the friend-finding app. Other than being the author of the freshly released novel, Cracked! A Magic iPhone Story, here are some interesting facts. ⦁ Janine was voted “Tyrannist for Life” of the Oxford Folklore and Fanfiction Society in 2005. Since leaving university, she hasn’t organized many meetings, possibly because she now resides in a different country. But maybe when she visits the UK this month…? ⦁ Janine got really serious about narrative writing as a career in 2010, after working a freelancing job crafting stories and dialogue for videogames. She realized, “I can get paid to write this all day!” and so it was. ⦁ She’s a semi-professional singer who’s performed Celtic folk-rock in auditoriums and classic rock hits in backyards. ⦁ Janine believes she will someday be fluent in another language. So far, she’s closest in Spanish, Japanese, and Welsh. By which, she means she can get through a level 1 podcast lesson. ⦁ Her favorite color is green. Which goes nicely with her red hair. ⦁ Janine worked as an economic consultant before she became a writer. Her fiction always has an economic angle, even if she’s the only person who notices. ⦁ Janine has lived in three countries: the US, the UK, and Japan. She used college as an excuse to go far from home. ⦁ Janine’s favorite drink is Diet Caffeine-Free Coke. It just tastes the best. ⦁ All Janine’s novels so far have been possible because of crowdsourced funds via Kickstarter. She owes great thanks to her many patrons of the arts who love a good science fiction adventure and believe in her ability to make that happen. 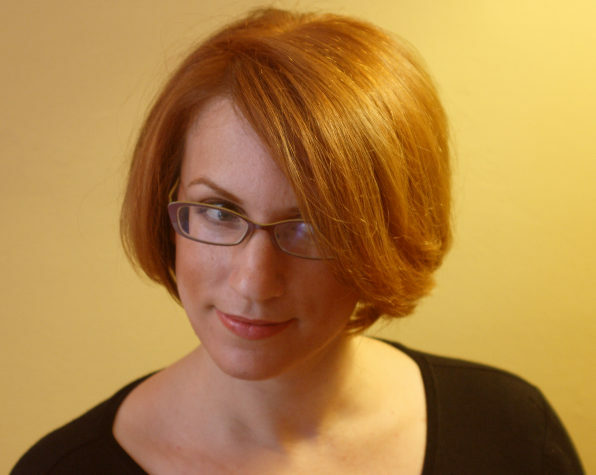 Janine A. Southard is the IPPY award-winning author of the Hive Queen Saga, as well as other science fiction and young adult novels and novellas. The Hive Queen Saga books blend cultural experimentation with epic as they follow a formalized Hive of teenagers on a voyage to new lands and new cultures where their own ways seem very strange. The first novel in the saga, Queen & Commander, has been described as “like Joss Whedon’s Firefly but for teenagers” by the YA’s Nightstand. The second book, Hive & Heist, is a classic heist tale set on a space station. Queen & Commander received an IPPY (Independent Book Publishers) Award for science fiction ebooks in 2013. Outside the Hive Queen Saga, the science fiction novella These Convergent Stars was selected as the short ebook recommendation of the week at Tungsten Hippo on 29 January 2014. All Southard’s books so far have been possible because of crowdsourced funds via Kickstarter. She owes great thanks to her many patrons of the arts who love a good science fiction adventure and believe in her ability to make that happen. 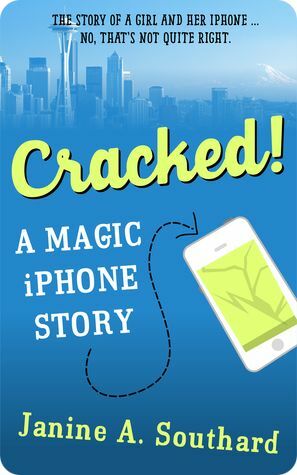 From her home in Seattle, she is currently working on a half-contemporary, half-fantasy novel for adults, Cracked! A Magic iPhone Story, which releases in early 2015. Visit Janine A. Southard’s website. Connect with Janine on Twitter. Find out more about Janine at Goodreads.